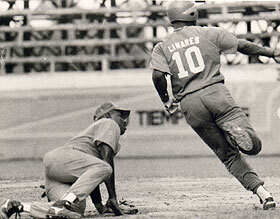 It has been said that Omar Linares is the greatest ballplayer from Cuba to have ever played the game. If you ask the fanaticos down at the Esquina Caliente, they will tell you that he is the best in the world. “Omar Linares is the best amateur player in the world. He has all the tools. 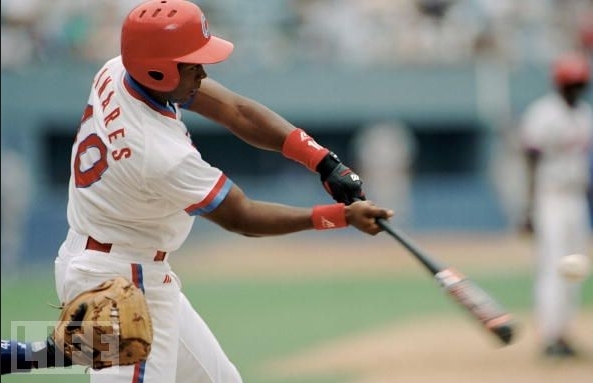 He is fast, a strong arm, power, and above all has a great temperament for the game” – Pinar del Rio manager Jorge Fuentes, 1991. Omar Linares se encuentra a la sombra de ningún jugador de béisbol. Translastion: Omar Linares stands in the shadow of no baseball player. The 6′ 1″ 225 lbs. Linares was a third baseman and a bona-fide 5-tool player. He had exceptional power to all fields, quick feet and lightning fast reflexes at third base to go with a cannon of an arm and the ability to hit for a high average. He was fast on the basepaths until late in his career when a serious leg injury and bad knees limited his speed. 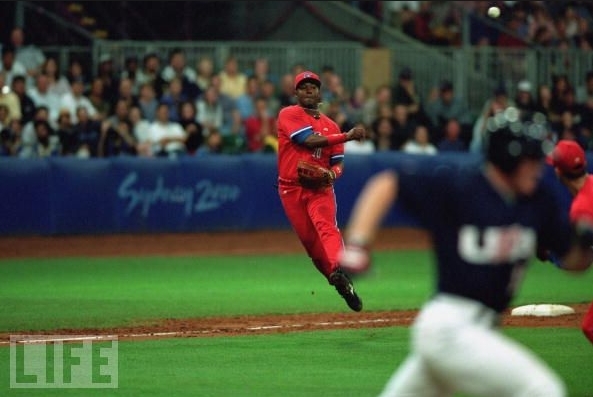 “He could definitely play here,” White Sox third baseman Robin Ventura said in 1992, four years after he had faced Linares in the ’88 Olympics. 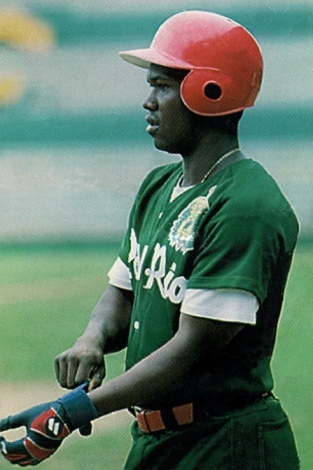 Domestically, Linares spent his entire career with the Pinar del Rio team of the Cuban National Series. Over the course of 20 seasons, Linares collected 2,195 hits and 404 home runs in fewer than 6,000 (5,962) at-bats (the Cuban season is much shorter than Major League Baseball). He hit .368/.491/.644 to go along with a solid 204 steals. He hit an average of 1 home run for every 14.8 at bats. 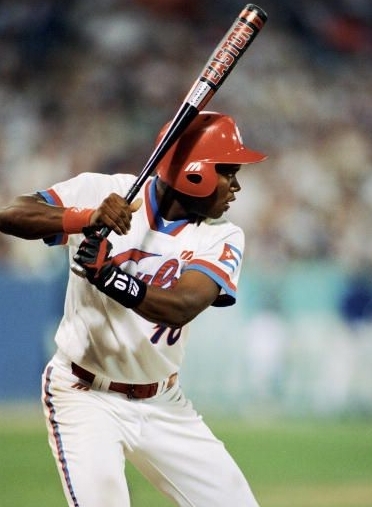 That being said, much of his career was spent using aluminum bats until the Cuban National Series switched to wood in the mid 1990’s. 4 times in his career Linares hit over .400 in a season: .409 in 1985, .426 in 1986, .442 in 1990 & .446 in 1993. Again, Major League teams attempted to lure Linares to the United States. Linares is a gifted, solid, everyday, front-line major league player. – 1993 scouting report. The New York Yankees reportedly offered Linares $40 million to play for them. Not surprisingly, Linares declined. Fidel Linares, the father of Omar, was a 3rd grade dropout from rural Pinar del Río. He owed his own ballplaying career to the Revolution, which developed baseball (and literacy, and medicine) in Pinar Del Rio, the most neglected of all of Cuba’s provinces. “I have all of my family here and the Revolution has given me everything. It has permitted me to study, to practice sports, and to reach the level I have reached. I don’t need to leave my country or the Revolution.” – CNN, 1996. While priding itself on being an egalitarian society, Cuba goes to great lengths to keep its top players. Linares’ modern car – a burgundy sedan – is in stark contrast to the melange of Chinese bicycles and 1950s relic automobiles that pass by his home along the main street of Havana. The kind of clothes Linares wears are of the quality found in a local North American mall, stylish and comfortable. Linares is paid a special stipend for incidentals – 600 pesos per month – which works out to twice that of an average worker, whose pay is the equivalent of $144 a year. 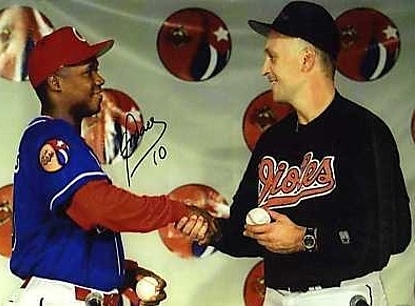 Americans’ first and only opportunity to see Linares play against Major League-calibre competition was when the Baltimore Orioles and the Cuban National Team played a 2-game exhibition series. Unfortunately, at this point in time Linares’ career was beginning to wind down. Regardless, in Cuba’s game 2 12-6 win, Linares reached base in every plate appearance with 3 singles, a double and 2 walks. 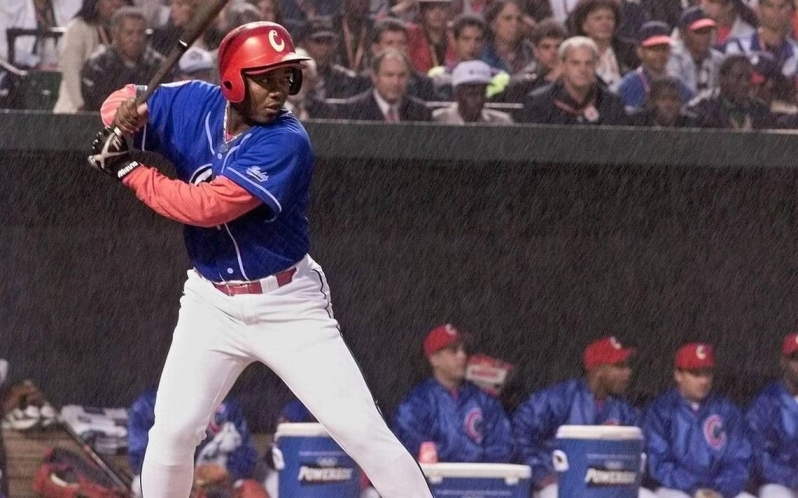 Following Cuba’s loss in the gold medal game of the 200o Olympic in Sydney, the Cuban government instituted a program to allow players to play abroad professionally. It was partly to showcase Cuban talent to the world as well as educate potential future managers as to how the game is played internationally. Yet it was also a revenue generator for a cash-strapped government that garnished 80% of the player’s salary. 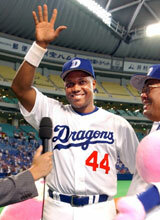 In 2002, at the age of 34 and hampered by injuries, Linares signed with the Chunichi Dragons of the Nippon Professional League. He played miserably in his first season, failing to register an OPS over .500. In 16 games he hit .174/.255/.239, striking out 19 times in 46 at-bats. There may also have been a severe culture shock for the player from Pinar del Rio trying to adjust to life in metropolitan Nagoya, Japan. Linares improved in 2003, slightly. He spent part of the season in the minors and hit Linares hit .229/.311/.417 with the big club. In 2004 Linares split time with Hiroyuki Watanabe at first and had his best year in Nippon Pro Baseball, hitting .283/.363/.403. for Chunichi. He retired at the conclusion of the season. Since baseball is no longer an Olympic sport, Linares perpetually holds the records for hits (51), home runs (14), at-bats (115) and games (27). Below are some highlights from Linares’ Olympic appearances. At 1:26 he takes a breaking ball on the outside of the plate and drives it to straightaway CF for a HR. The look of exasperation on the Japanese pitcher’s face is classic. He gets pretty much the same pitch at 2:32 and the end result is the same. 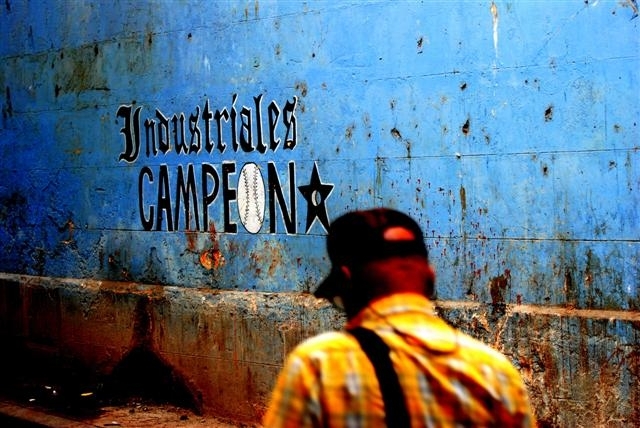 Linares is no longer managing the Pinar del Rio team. 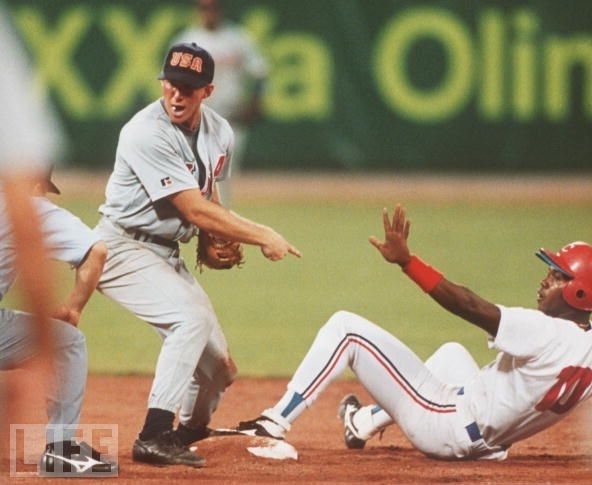 Instead, he is an assistant coach for German Mesa‘s (who stands at second base in the first video) Havana Industriales. Great post. 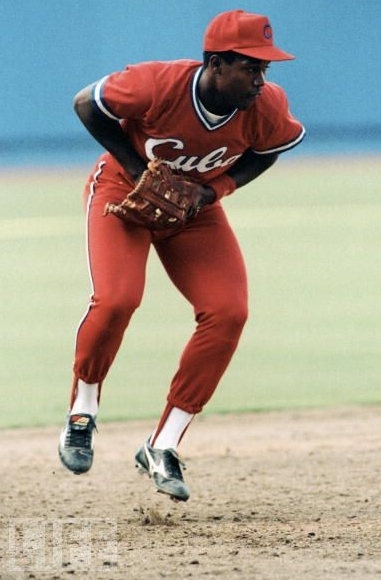 I can’t wait until Havana gets an expansion team and the Cubans are playing again. Could you imagine! A Havana expansion team would be incredible. 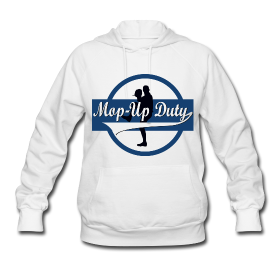 The fans would teach the rest of MLB how to really behave at a ballgame.